Which Therapy is Best for Your Adrenal Fatigue? What do most people do when they have a problem? Google it. Almost everyone with adrenal fatigue will have at some point searched online for information about the condition and how to manage it. In fact, that’s how most of the readers on this page will have arrived here. Modern technology is wonderful because it provides us with access to knowledge and information in a way that could not have been possible just a couple of decades ago. However, therein lies the dilemma. For a person searching for solutions for their adrenal exhaustion, more often than not, the amount of information available can become overwhelming. This just adds to the stress that’s causing their problems in the first place. A good practitioner can help to guide you through the maze. But that doesn’t necessarily solve the problem. Which therapies are best for adrenal fatigue? More to the point; which therapies are right for you? What works for one will not necessarily work for all. For that reason, when choosing a therapy, it’s important to evaluate what it is specifically that you’re looking for help with. What symptoms are unique to you? Is sleep an issue for you? Are you looking for nutritional support? Does talking help you to manage your stress? Do you have aching muscles or joint pain? Asking questions like this can help you identify the type of therapy best suited to you. Make a list of your top concerns and work from there. For example, if sleep is your major problem, visiting an herbalist for a preparation might avoid the need for sleeping tablets. 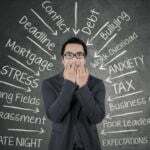 On the other hand, if your main issue is managing anxiety, you may gain greater benefits from NLP or Cognitive Behavioural therapy. Your adrenal fatigue is just as individual as you are. If you’re looking for information about which therapies can help; The Adrenal Fatigue Solution is a good place to start. Here’s a run-down of a few useful therapies to get you started. Think of naturopaths and integrative doctors as being doctors who look at your condition more holistically, rather than focusing on specific symptoms. A good practitioner will not only be trained in a specialist discipline (for example herbal medicine) but will also have spent a number of years studying nutrition and a range of diagnostic techniques. Like family doctors, naturopaths offer a range of services, so it’s important to find out about their specialities before deciding which practitioner will be the best fit for you. Holistic healthcare professionals look to identify the root cause of the problem and treat the individual as opposed to the condition. Treatments may take a range of approaches from ordering tests and prescribing herbal tinctures to prescribing hormone replacement. 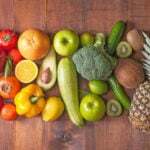 There is often a great emphasis on diet, so you can expect to learn a lot about managing health issues with food. Holistic healthcare providers are a great option for people looking to make a long term commitment to their health. Don’t visit one unless you’re serious about making significant lifestyle changes to achieve your goal. If you’re looking for herbal support to help manage your adrenal fatigue, it can be tempting to fall into the “Google” trap in an attempt to self-medicate. More often than not, this results in you spending a ton of money on herbal products that might, or might not work. A far more cost effective way is to visit an trained professional. 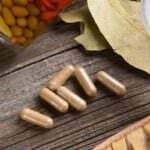 Prescriptions can take the form of teas, capsules or tinctures, and usually contain a combination of different herbs chosen specifically for your individual situation. Once again, herbal training can vary and practitioners can be like chalk and cheese. Some herbalists prescribe ayurvedic formulas, while others may work with Chinese herbs and energetic prescribing. It may take a little research to find a practitioner whose work resonates with you. Low energy can often mean that intense exercise is off limits for people with adrenal fatigue. If you’re used to being active but increasingly find you’re too tired for sports, Yoga is a great choice. Not only can a gentle class get your body moving, it’s also scientifically proven to lower anxiety and stress. If anxiety is a major cause of your adrenal fatigue, yoga therapy might be an option for you. A good teacher can help you learn how to remain present in the moment, and show you breathing techniques to help you manage your anxiety outside the studio in day to day life. If one to one sessions aren’t for you, or you’re unsure if this therapy will help, there are tons of free videos online so you can practice in the comfort of your own home. Therapies don’t have to be expensive! If you’ve ever had a foot massage, you’ll know how it can instantly melt away stress. However, reflexology is so much more than this. Based on the premise that points on the feet (and hands) correspond with different parts of the body, therapists manipulate these points to bring about balance and healing from top to toe. Many colleges now offer short courses in reflexology. It’s a great skill to learn as you can easily practice on yourself and your family at home. If you’re sceptical that reflexology can work for you, ask if your local college runs student clinics at a reduced rate cost. That way, you get to see if this therapy really offers benefits for you, without breaking the bank. Think of the smell of freshly baked bread. Just the mere suggestion takes you to a happy place. This is because the part of the brain that allows you to perceive scent is associated with the limbic system – in other words, the part that contains all of your memories and emotions. Essential oils don’t just have the ability to lift your mood; they offer a huge range of other health benefits too. Juniper helps to strengthen the immune system, coriander improves digestion, geranium balances hormones… Just as an herbalist creates an individual formula, an aromatherapist will blend a selection of oils specifically chosen for you. Combined with massage, aromatherapy can be an affordable way to manage your adrenal fatigue. This therapy is recommended for people who may have joint and muscle pain, or who may be having difficulty sleeping. Choosing the right therapy may feel a lot like trial and error at first, but it avoids the need to battle through the adrenal fatigue minefield on your own. 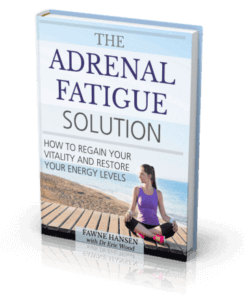 The Adrenal Fatigue Solution is full of information that a qualified practitioner will be able to share. It contains further resources for a range of alternative therapies and is packed with advice about finding the right practitioner for you. If you’re looking to get started on the road to health, it’s a great place to begin. Which therapies have you tried that worked? Let us know! I know I have adrenal fatigue. I had a nervous breakdown over 9 months ago and have been suffering with adrenal fatigue since then. Totally exhausted from morning till night. Right now I’m struggling to find the energy to even read this information on your website. Never been so exhausted for such a long time in my life. That is absolutely ruining my life I just want to feel normal again. tried Supplements that my sister sent me. They don’t seem to be helping. I went to the health food store and they gave me some nasty-tasting stuff tried it for several weeks and it didn’t help. I’m beginning to lose hope. may be able to provide something, or recommendomend you a professional. I hope this helps, good luck! I have just been diagnosed with adrenal fatigue and I am on lots of different herbs, vitamins, and essential oils. The one product that gave me my energy back is Noni. I love products from Hawaiin Ola, you can find them at Whole foods or you can buy them on line. I take the energy Noni in the morning, and the immune booster during the day. I am feeling much better, I hope it helps you. Hi Malia what kind of doctor did you see? Thanks. I was vitamin D deficient and after my physician aggressively treated it, my D levels are optimal. That said, I am still struggling with adrenal fatigue. It’s hard to get people who haven’t experienced it to understand. They are often full of good intentions, but they’re suggestions don’t help at all. Trisha, I know exactly how you feel…the hopelessness, the utter and inexplicable exhaustion. Nobody understands if they have not experienced it. You’re simply too tired to go get the help you need. I can tell you that I have been there and still suffer from this when I do not take proper care of myself. Following a head and neck injury and a prolonged period of acute stress, I felt so bad I literally thought I was dying. Doctors did various tests including a very generalized thyroid test (T3 and T4) but found nothing wrong. A friend referred me to a doctor who specializes in hormone therapy. They ran many more tests than my general practice doctor and discovered that I had extremely low levels of testosterone and progesterone. My thyroid was in fact NOT functioning and the T3/T4 tests that most doctors do is not enough to truly get a picture of what the thyroid is doing. I was one big ball of estrogen which caused me to gain 50 pounds very quickly even though I was barely eating. I couldn’t eat because I was simply too tired to go to the store to buy food and prepare it. Eventually, I would get so hungry, I’d drag myself (still in my pajamas) to the nearest drive thru and eat an unhealthy meal. This created a vicious cycle. Prior to this, I was a very healthy and physically strong person. I worked out daily and was very lean. When I began to “blow up” and chronic pain set in, I knew I was sick, but had no clue as to how to deal with it. I began suffering chronic infections as my body simply could not combat the slightest virus. My new doctor started me on hormones to balance out the estrogen/testosterone/progesterone. She also started me on thyroid medication, DHEA and vitamin D. At the same time, I found “The Juice Lady” Cherie Carbon on TV one day and found that she had suffered similar health issues which she was healed from by juicing specific vegetables and fruits that supported her adrenals. I was skeptical but had absolutely nothing to lose. I checked out her website and learned quite a bit about her background, juicing benefits and her juicing retreats. In my heart, I felt this was the answer. But I had no money to go, nor did I think I had the energy to get on a plane. I emailed Cherie and told her of my situation. By the grace of God, Cherie offered me a scholarship to attend her juicing retreat. I had two weeks to prepare myself for the juicing retreat. So I got her book on juicing for the adrenal glands ($10), bought a decent juicer, and bought the ingredients to juice. Mind you, this took days as I could barely muster the energy to do anything. So I did one task per day until I had everything I needed to juice. I drank two 14 oz bottles of juice every day leading up to my departure. Within about 3 days, I began to notice a significant difference in my energy levels and my mood. I was astonished. In two weeks, I lost 9 pounds. This was with no exercise because I still did not have energy for that. At the juicing retreat, we were given a detox juicing diet for 6 days. I really thought that I would be hungry, but I was not. We drank detoxifying tea and lots of water when we were not drinking juice. I lost another 5 pounds in those 6 days. But most importantly, I got my energy back. I was buzzing around and felt happy for the first time in a very long time. I had hope! I saw many other very sick women also spring back to life during the retreat. After returning, I continued on this path and lost 25 of the 50 pounds I had gained in just a couple of months. The weight was just falling off once I got my hormones straight and began giving my body the nutrients it needed to perform properly. I felt so much better. Regretfully, over a period of time, I became complacent and failed to maintain the juicing practices that had brought about my recovery. I have no logical explanation for why I did this to myself. The horrible exhaustion and lifelessness returned as I put myself on the snowball cycle of decline again. Once the exhaustion sets in, it’s very hard to get a handle on it. But I’m back on the wagon. I just completed a 5 day liver detox that included juicing and I’m feeling so much better already. My energy is coming back and along with that comes hope. My advice to you and anyone suffering from this debilitating illness is to go to a hormone specialist who will conduct thorough testing. Also, feed your body good food and it WILL come back to life. There is no supplement or special pill that will replace healthy foods. The first few days are the most difficult–getting up out of the bed and preparing. Ask someone for help if you can. If not, do a little bit each day so you don’t overwhelm yourself. Be patient with yourself as you heal. It will take time, but you CAN do it. And once you do start feeling better, stick with it. I hope to read a great report from you some day soon Trisha. Wishing you swift and great healing! How did you find a hormone specialist? My gynecologist said testing estrogen and progesterone are unreliable because levels constantly fluctuate. I’m very confused now. I can sleep for 14 hours and not know I’m asleep even though I’m a very light sleeper. I force myself awake, so easy to fall back into my REM immediately. It takes me 2 hours to become cognitive again. If I stop moving, I’m asleep. I can’t lose weight and I love to exercise. Very disappointed in my twice a day workouts for 3 months…not a single pound lost. As a heads up if you have a really bad case; considering using the DUTCH test to get a much clearer picture of what’s going on with your entire hormonal system, and other key data that most blood tests simply will not pick up. have a functional medicine doctor properly interpret it, and give you guidance before you start agressively taking hormones or supplements. 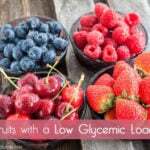 However, most can simply support thier adrenals with B5,(panthethine) B12, C, salt, water and cocunut oil to help stabilize blood sugar. Also have a high protein shake of 30-50 grams in the morning is very stabilizing for the adrenals/blood sugar. If your on edge or need help sleeping consider a trial of GABA, and back way off or completely cut out caffeine for some time to give your adrenals a rest.